Bernice Louise (Bernard) Tower Arbour, 87 of North Adams, MA died Tuesday morning May 15, 2018 at North Adams Commons. She was born in North Adams, MA on June 1, 1930 daughter of Harry L. and Mary Louise (Chenaille) Bernard. She attended local schools and graduated from Drury High School with the class of 1947. Bernice also studied at North Adams State College. In her younger years, she worked at JJ Newberry and Sprague Electric Co. She was last employed by Williams College where she worked for 17 years until her retirement. Bernice was an active Girl Scouts volunteer serving as a Brownie Leader and day camp director. She was a member of the South Readsboro Community Club and the Naomi Chapter #17 Order of the Eastern Star. She was also a member of the Ladies Oriental Shrine of North America #64; Eagles Auxiliary #310 and the Sherlock Holmes Club. 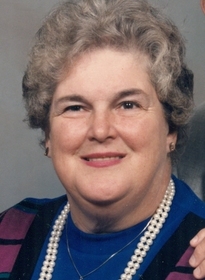 Bernice was a longtime member of St. John's Episcopal Church where she served as a Eucharistic Minister and as a member of its Altar Guild and Periodical Club. She was the widow of Henry Joseph Arbour who died on April 29, 1998. They were married in June 26, 1982. Survivors include one daughter-Brenda Joyce Piscioneri of Adams and two sons- Stephen H. Tower and his wife, Lynn of Matthews, SC and Gordon M. Tower and his wife, Missy of Adams. She also leaves seven grandchildren; eight great grandchildren and one brother- Harry L. Bernard Jr. of Dover, NJ and nieces and nephews. Her son Wayne Tower died September 26, 2007 and her sister, Joyce Nichols is deceased. FUNERAL NOTICE: A memorial service to celebrate the life of Bernice Arbour will be held Saturday June 9, 2018 at 11:00 AM at All Saints Episcopal Church, 59 Summer St. North Adams, MA. Burial will be private. There are no calling hours. Memorial donations may be made to Shriner's Children's Hospital in care of FLYNN & DAGNOLI-MONTAGNA HOME FOR FUNERALS CENTRAL CHAPEL, 74 Marshall St. North Adams, MA 01247. To add to the Book of Memories, please visit www.flynndagnolifuneralhomes.com.